Looking to make Central Florida your new home? Below you will find local city logos. 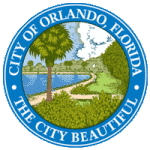 Please click each one to learn more about the residential surrounding cities and homes for sale in Orlando. For the last 25 years we have helped many clients buying and selling property in the Kissimmee, Davenport and Clermont area and surrounding areas. The knowledge and expertise accumulated over this time ensures our clients get the best representation possible when buying or selling their homes. We have access to residential homes in a variety of prices and communities to fit almost any need. If you are looking for a new home or seriously considering Florida retirement, Bardell Real Estate can help you find affordable property and realise your own Florida dream. Click for a Free Florida Buyers Guide or for further information on each property and don’t forget we have access to all residential homes for sale in Orlando and Central Florida. If you can’t see what you are looking for above, please contact us and we would be pleased to undertake a search on your behalf – no fee, no obligation.